The next best thing to having brand new furniture is freshly cleaned sofas and chairs. Upholstery cleaning revives fabrics: leaving them plush, inviting and stain-free and a Myhome Upholstery Clean can provide just that! 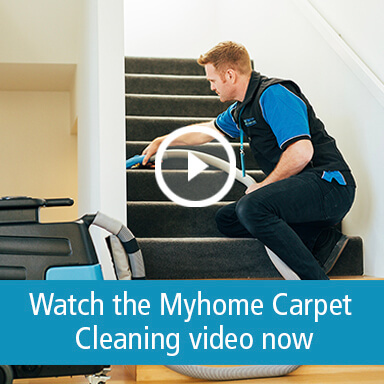 Here at Myhome we’re proud to say we do cleaning a little bit differently than all the other Upholstery Cleaning companies in Melbourne – we use Dry-Touch technology. By using our exclusive Dry-Touch System we’re able to give your sofas and chairs a much deeper, thorough clean. This is because Dry-Touch traps and removes dirt, dust mites, oils and allergy-inflaming particles deep down by using a process called Encapsulation – something steam cleaning and chemical cleaning fail to do. The great thing about Dry-Touch is that it’s none invasive so you won’t need to worry about your fabric becoming discoloured or shrinking. If you want your sofas and chairs bringing back to life, call the Myhome Upholstery Cleaning team on 13 22 31 – our service is available all across Melbourne so call now. Our Dry-Touch Technicians follow a strict method, we call it a six step encapsulation process, which ensures all that hard to reach dirt is removed. Once we’ve finished treating your sofas and chairs we’ll vacuum and groom them. Your upholstery will be totally dry within one to two hours of our clean and looking like new! As part of the Myhome Uphostery Cleaning Service our team will come back to your house the next day for a post-clean treatment, we want to make sure you receive the most thorough upholstery cleaning service Melbourne has to offer. 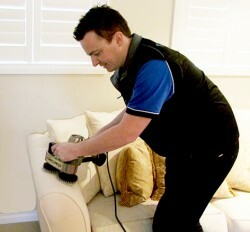 Call us now on 13 22 31 and book a time for you sofas and chairs to be revitalised by our Upholstery Cleaning Team!